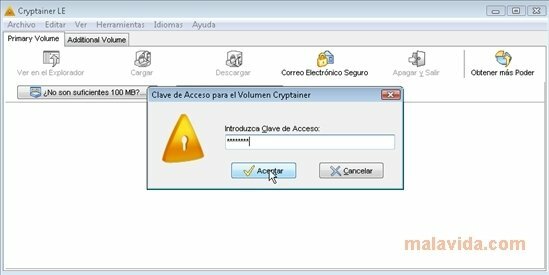 Cryptainer is a software application that allows to save and store private data by means of different encryption algorithms. It offers different systems that have been tested against hacker attacks and other similar dangers, thus offering extra security to all your files. 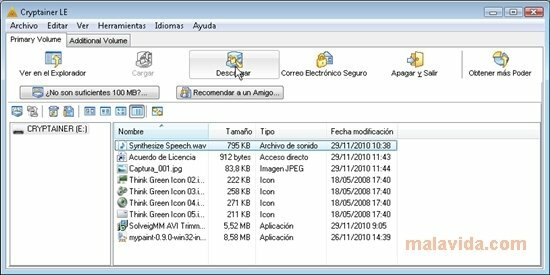 It is compatible with 32 and 64 bits systems, and it also possible to use if as a portable application, that you will be able to take with you on a USB pendrive. This program uses powerful encryption tools to maintain your private data safe. It has two different algorithms: Blowfish448 and AES256. The application is accessible from the file browser, as long as you are using it, and precise of a manipulation, so that only you will have access to its contents. It is very easy to handle. 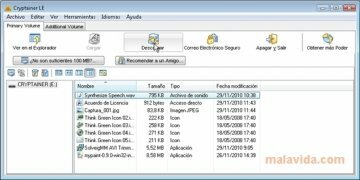 You will only have to create the file with the corresponding password and start to drag documents to the program's interface. 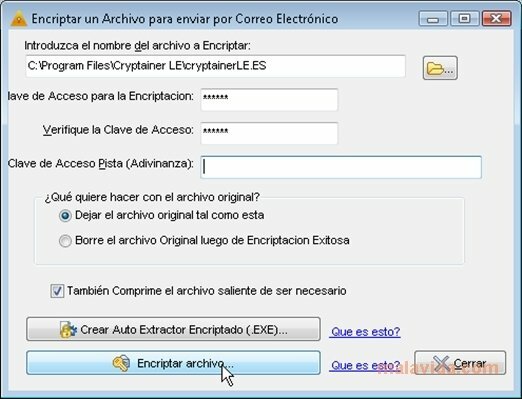 It will create a list with all the selected files and a file with the chosen encryption. To recover them you will only have to look for your file and open it with Cryptainer inputting your password.